RapidRoad is our answer to the high demand for USB products for classic Amiga computers. 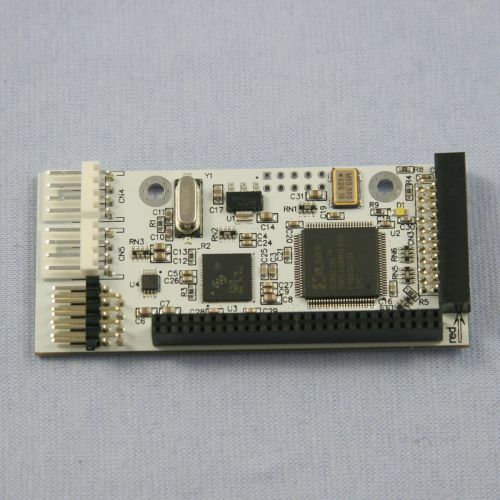 RapidRoad is a dual-port USB2.0 High-speed (480MBit) host module. It comes with a license for the most versatile and compatible USB stack that exists for the Amiga: Poseidon by Chris Hodges. With it's dual-interface design, it can be used with almost all types of Amiga computers. Poseidon V4.5 USB Stack is essential software to use USB devices on your Amiga. It can either be downloaded for free or we can supply it on a floppy disk media if you select it in the configuration options below.